Before Bassett Furniture opened in February 2005, owners Rick and Susan Wise were approached by Bassett Furniture Industries to open a store on the Western Slope of Colorado. From 1993 until 2004, they had owned and operated a smaller store called Home Front Interiors in Montrose, Colorado. By analyzing the market potential, they realized that Grand Junction would be the perfect location for their new store. They purchased the old roller rink building at 325 W. Gunnison Avenue in 2004. Bassett furniture is different from other furniture stores because their Design Consultants consider customer’s needs, rather than just the sale. They offer a house call service where one of their designers will visit the customer’s home, view the space, and create something beautiful to fit the customer’s style and budget. 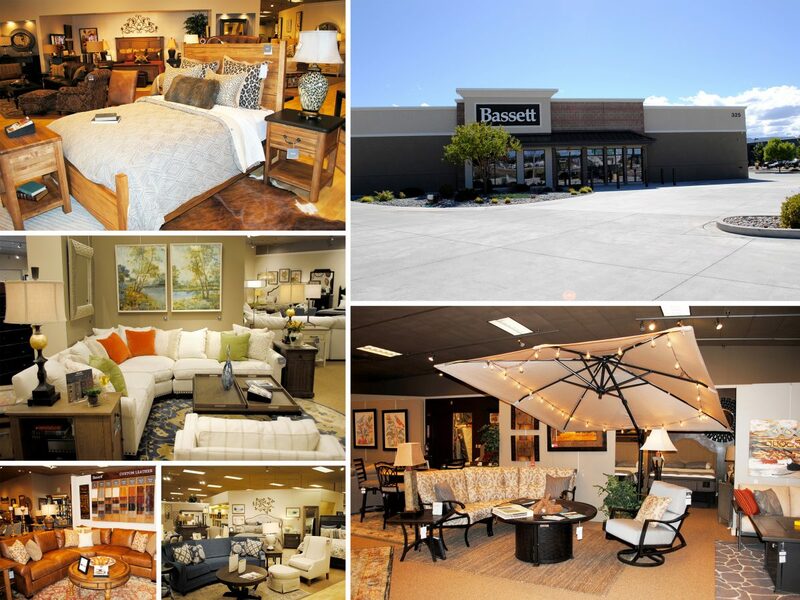 Bassett is also home to the exclusive HGTV Home Design Studio. Their staff of 10 are passionate about what they do, and most of them have been with the organization for 5-9 years! One of Bassett’s newest product lines, Bench*Made, is created from red leaf Maple timber harvested in the Appalachian Region of the United States and crafted by Artisans in Bassett, Virginia. The pieces have a modern rustic/lodge feel and are made-to-order. Various sections are also hand-crafted by Amish artisans, to stand the test of time as beautiful heirlooms for generations to come. Another unique aspect of Bassett is their “Revolution” fabric line. These fabrics are made with Olefin yarn and woven into high-performance fabrics. The type of thread used is virtually un-stainable, easy to clean, and extremely durable. It is also fade resistant and very soft. This fabric helps your furniture last longer, and stay fresher than most other upholstered pieces. This material comes in a variety of colors, styles, and weaves, allowing you to truly customize your home. 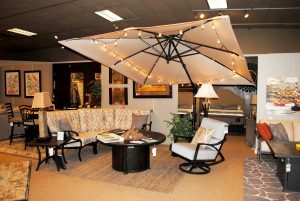 Our local store now offers a high-quality brand of luxury outdoor furniture made by Mallin Casual Furniture. This company is leading the way in innovative cushion and fabric designs for the outdoor furniture industry. Five years ago, Bassett was in search of upgraded computer equipment and software, so they contacted Networks Unlimited. From that moment on, an excellent partnership was formed between two companies who strive to learn about their customers before pushing any products on them. In addition to hardware purchases and the software “Office 365“, Bassett now utilizes Wireless IT (managed access points), Anti-X (managed antivirus), and Secure IT (managed firewall). 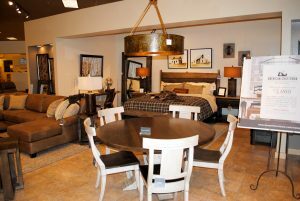 If you’re interested in learning more about what Bassett has to offer or to set up a time with one of their talented design consultants, please stop into their store or book an appointment online at www.bassettfurniture.com.